Return pick up approx 18.00 from Hyde Park Corner/Museums. Enjoy a Day Out in London. Please note commencing 1st May 2017 some departures may be have an earlier start with departure from Bridgwater 0515, Weston-super-Mare 0700, Bristol Anchor Road 0800 to allow you more time in central London. 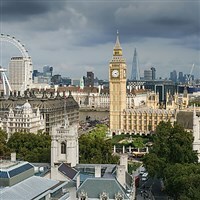 London, Englands capital, set on the River Thames, is a 21st-century city with history stretching back to Roman times. At its centre stand the imposing Houses of Parliament, the iconic Big Ben clock tower and Westminster Abbey, site of British monarch coronations. Across the Thames, the London Eye observation wheel provides panoramic views of the South Bank cultural complex, and the entire city. From London's exquisite parks, to world-class museums such as the Natural History Museum, historic houses, stunning art galleries and free activities for kids, there are some amazing free experiences to be had in London. The range of free London attractions is incredible. Where else in the world can you meet dinosaurs and creepy crawlies, see portraits of Tudor monarchs, travel back to the Battle of Britain, see Darwin's walking stick and the Lord Mayor's 18th-century gold coach, all without spending a penny? Make the most of London's top museums and galleries while you're in town. Entry is usually free, so it's a cheap day out too! Price shown is for return coach travel only.